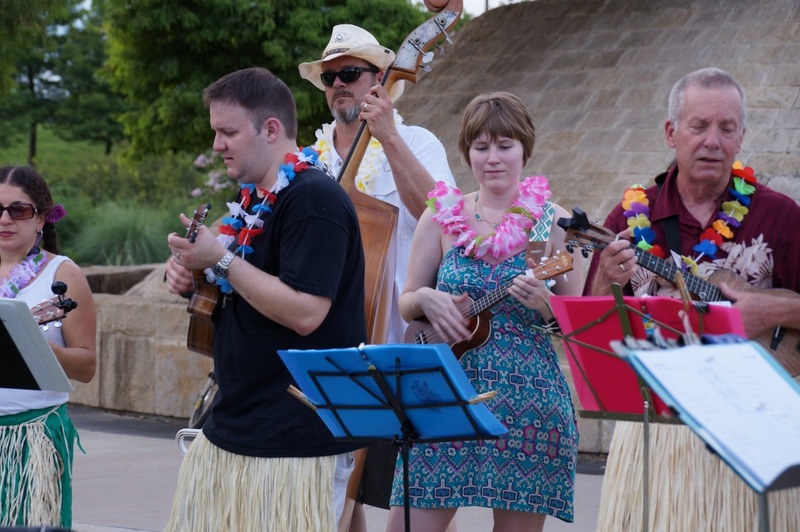 June 27, 2015: Keepin’ Austin Weird! 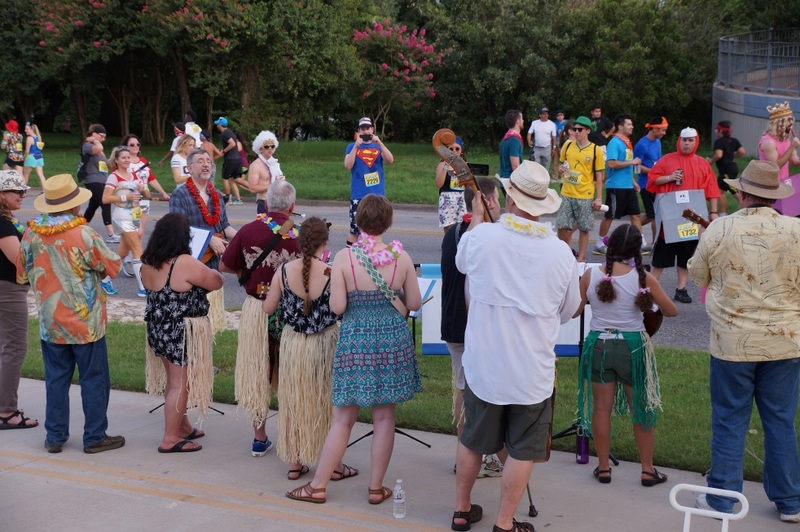 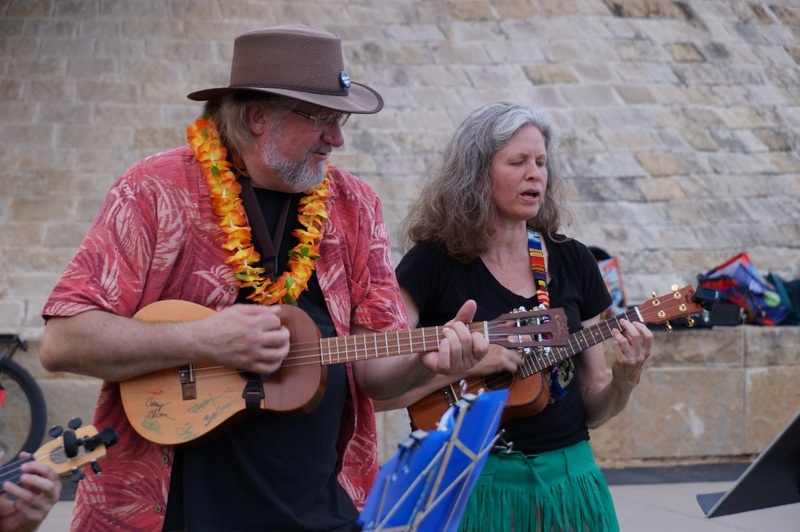 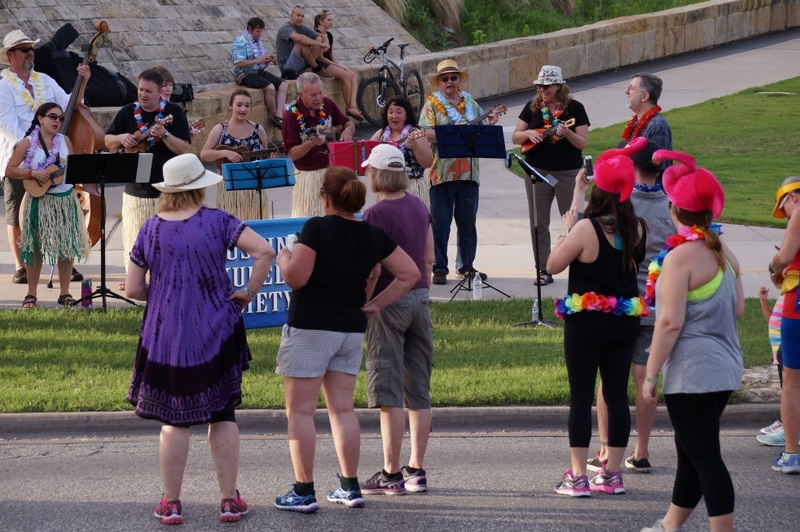 For the third year in a row, an ensemble of Austin Ukulele Society members wowed the runners in the Keep Austin Weird 5K! 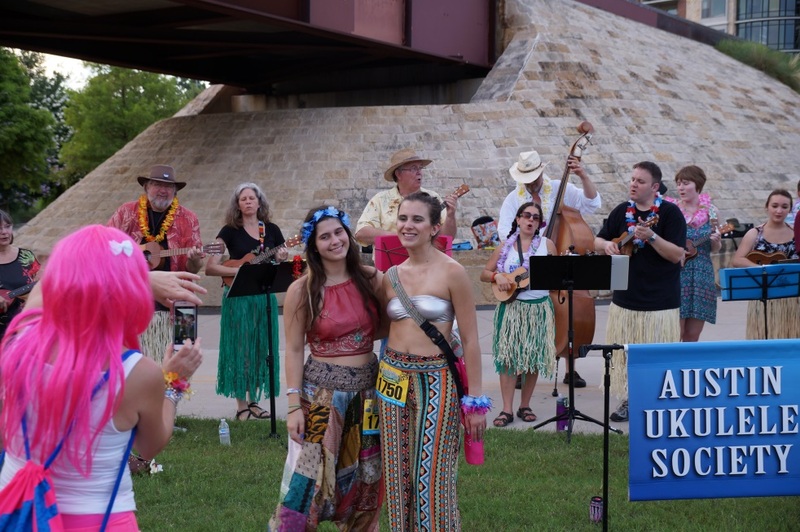 Many stopped to dance, sing along, or just take a selfie with us. 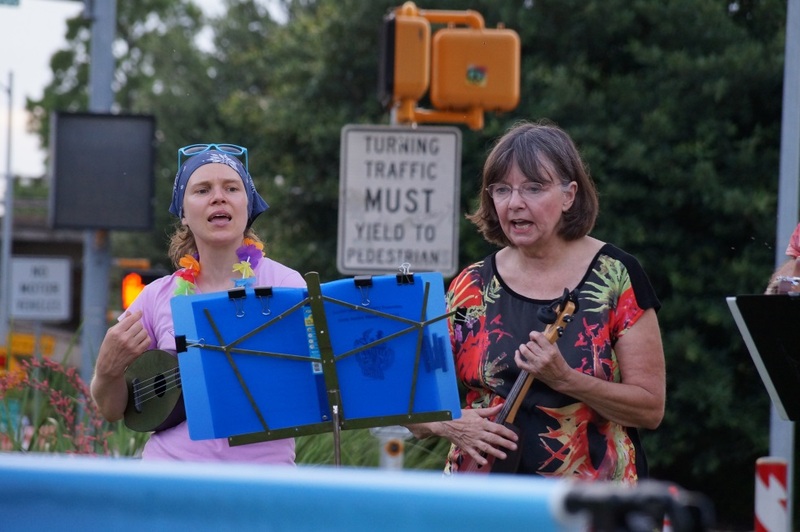 It was a hot time for runners and strummers alike! 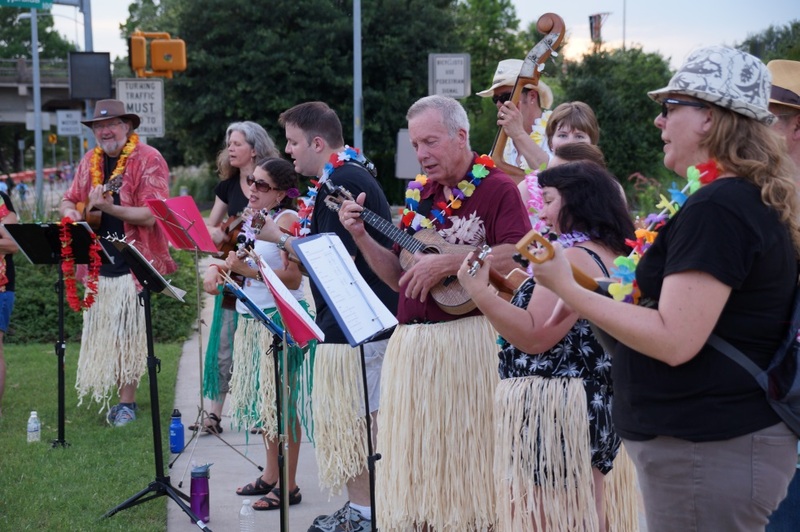 MANY thanks to everyone who came out. 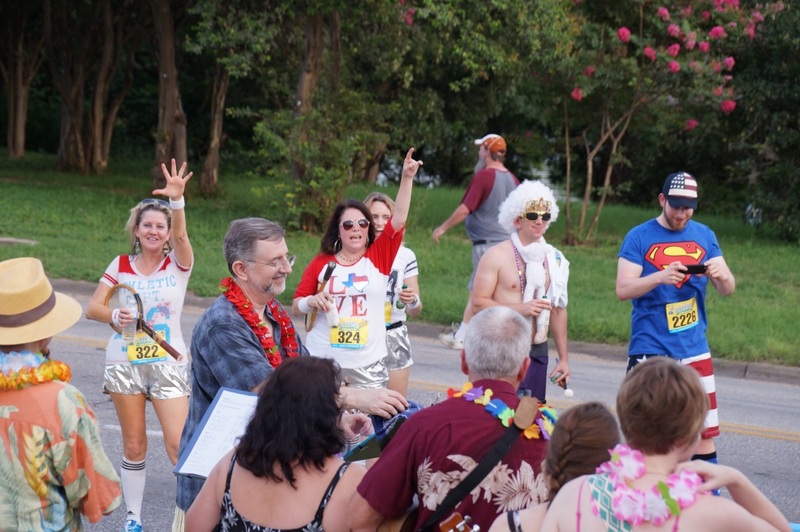 Can’t wait til next year! 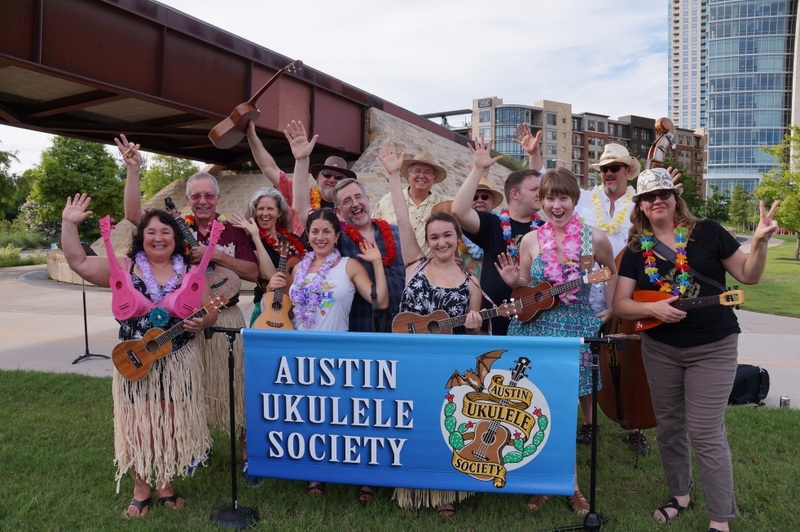 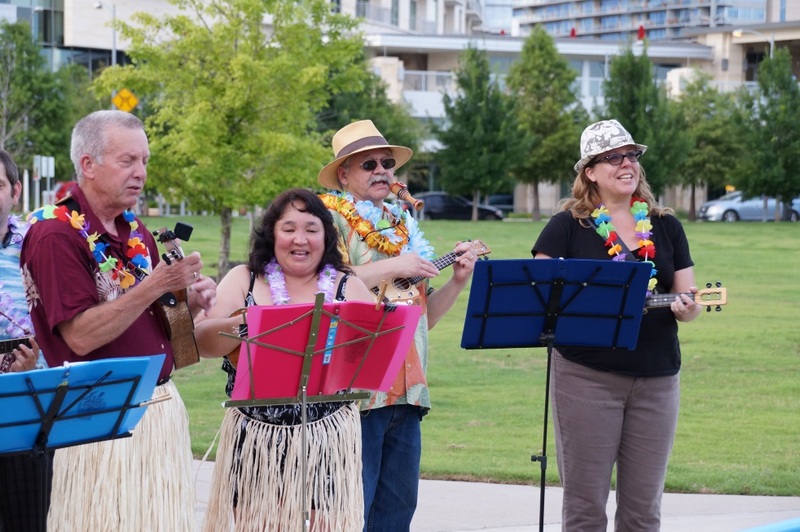 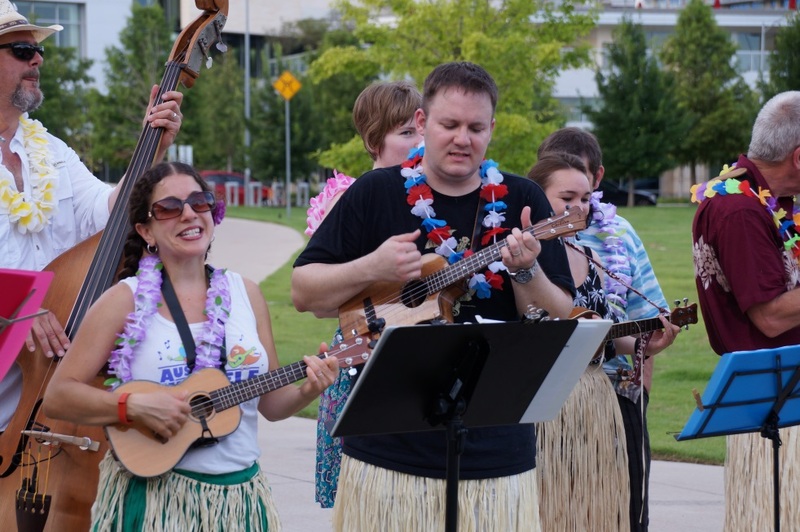 This entry was posted in AUS activities on July 3, 2015 by Austin Ukulele Society.